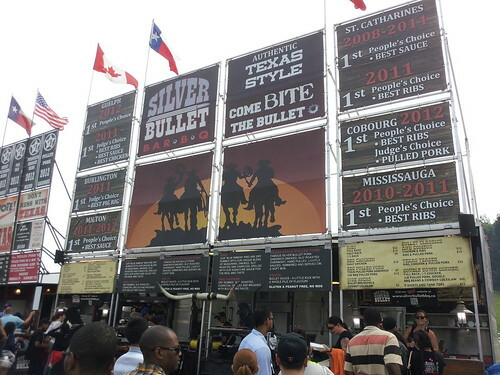 We biked to Ribfest today at Etobicoke's Centennial Park. 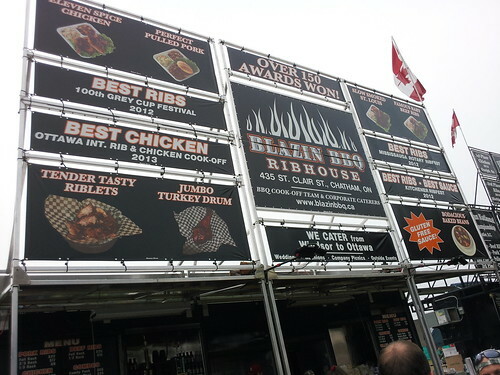 In addition to the tasty ribs and pulled pork sandwiches, my favourite part is the big signs promoting each vendor. 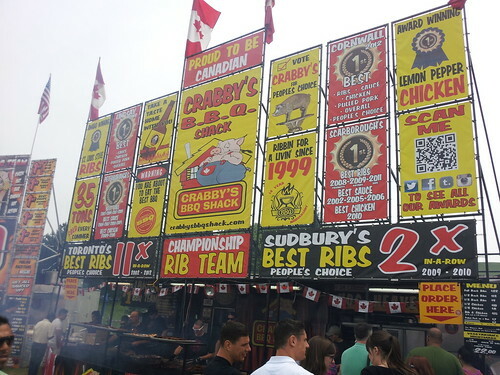 If you weren't able to make it to Ribfest this year, here are the signs you missed. 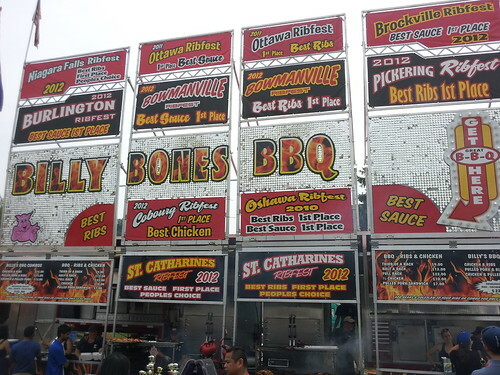 Why does every rib vendor's sign look like a Geocities webpage from 1996? Mmmm, BBQ. 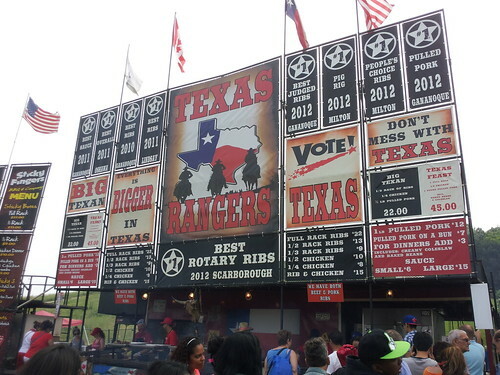 One of the things I miss most about Texas. 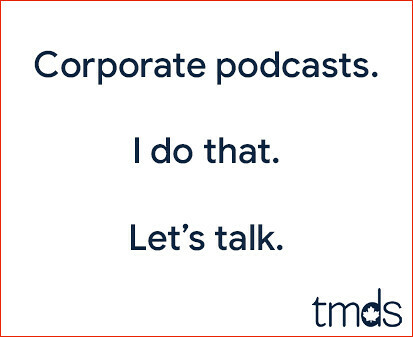 That, and the Tex-Mex food. 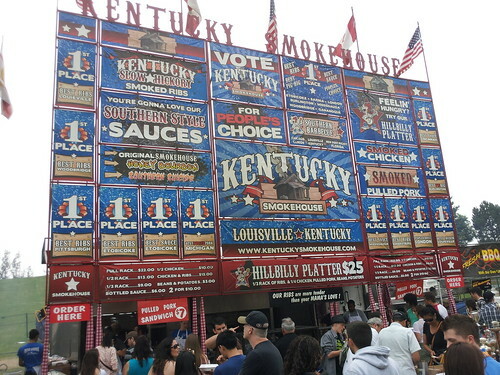 We ate at Kentucky Smokehouse today. 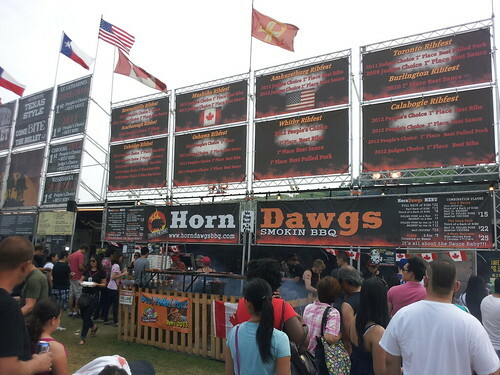 A couple of weeks ago, Elvis and I enjoyed Horn Dawgs in Oshawa. Line ups didn't look too bad. It would be tough to choose just one or 2 places for sure. I wish it was closer to downtown and easy to get to by transit. Parking lots were packed. I had to back out to the street it was so tight! Went to Kentucky smokehouse and got a hillbilly combo. 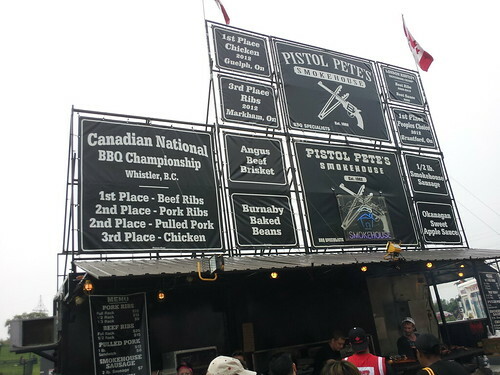 Ribs were "meh" Chicken and pulled pork were amazing! 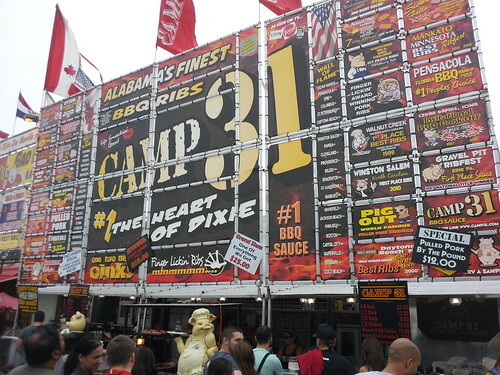 Was at Ribfest Pretty Much all weekend. 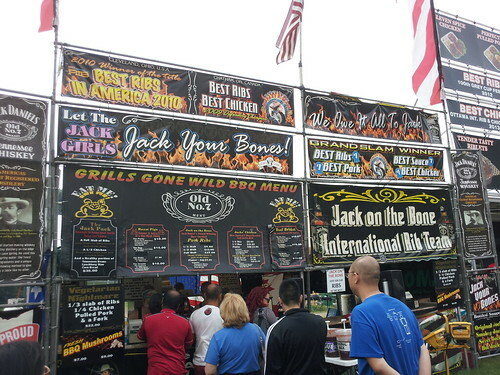 I tried a bunch of the vendors...for my dollar, "Sticky Fingers" was the best!! Oh, and the fireworks were awesome!!!! 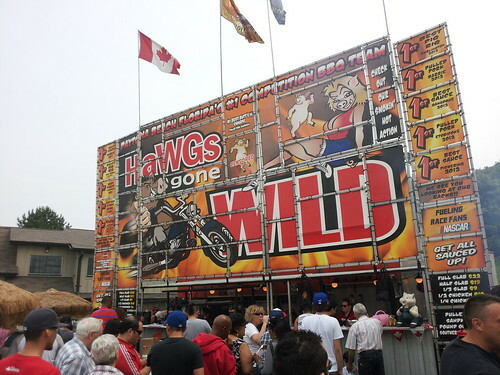 can someone explain ribfest to me? 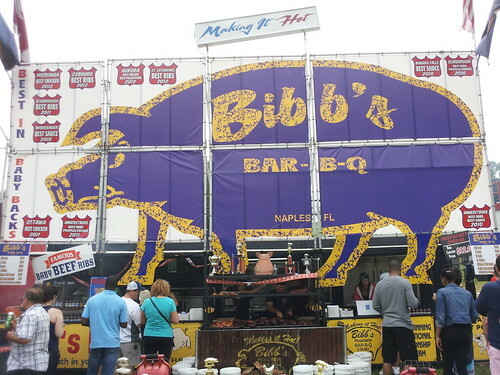 Is it like the competitions I see on Food Network or just a bunch of groups selling ribs? 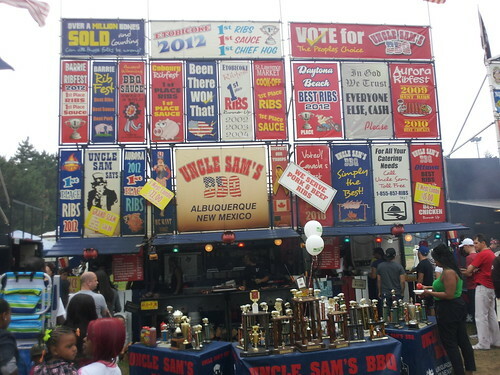 There are competitions... like best sauce, best ribs, etc.... but they're really vendors selling product. My $7 pulled pork sandwich was amazing. 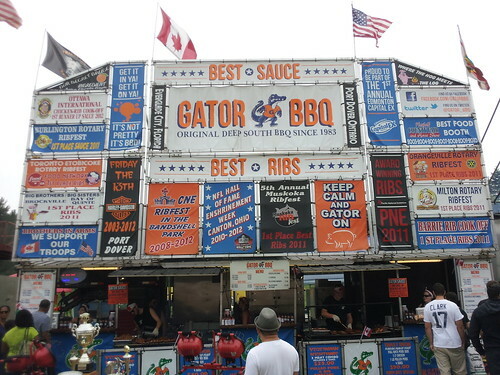 Rib fest introduced me to the magic that is pulled pork. 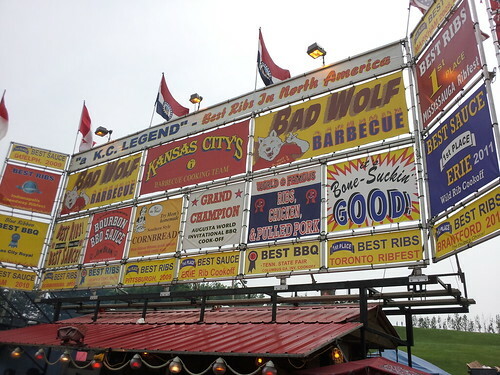 Frankly I think it's better than the ribs they sell there.